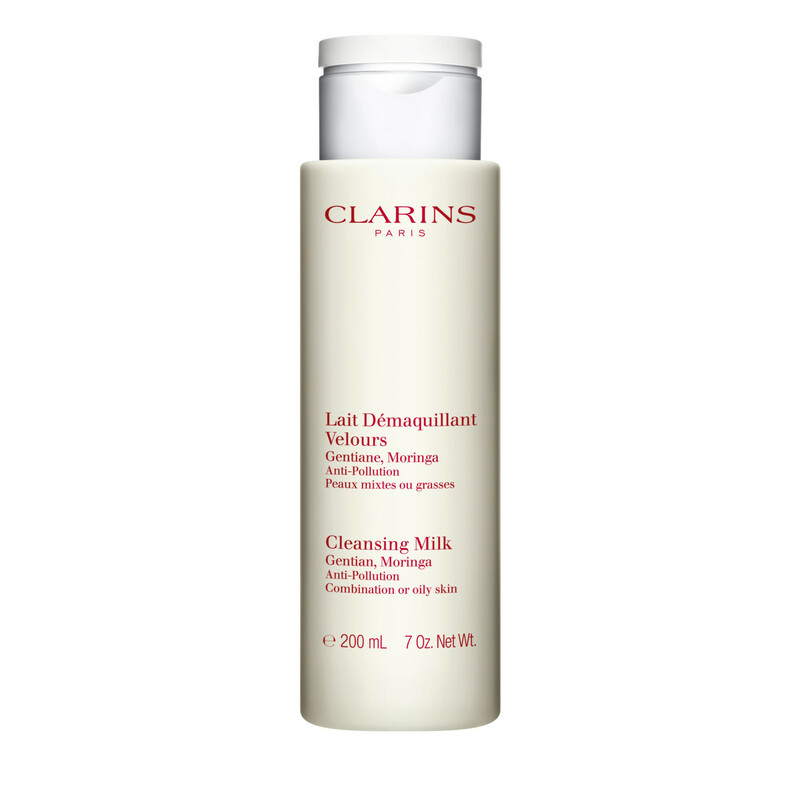 Home Face Cleansers & Toners Cleansing Milk With Gentian "Combination/Oily Skin"
Apply using the Clarins professional cleansing method: 1) Warm the Cleansing Milk between the palms of your hands to bring it up to skin temperature. 2) Apply by simple contact using the entire surface of the hands. Do not apply pressure. 3) Lay the hands flat on the face and neck and remove hands briskly as if the skin were burning hot. 4) Repeat 7 times: the cleansing milk will thicken and sponge away make-up and impurities without irritating or disturbing the tissue. 5) Rinse or wipe off. Apply toner to finish. Rated 5 out of 5 by Sophie1111 from My Trusted Cleanser I use this every day, twice a day, with the alpine toner after. I use this with a hot face cloth to gently pat and wipe away, and i wouldn't be without it. I have acne prone, oily/combo skin and this helps a lot, and keeps my skin well moisturised despite using a drying, topical acne treatment. Wouldn't look elsewhere for a cleanser, as i have been happy with this for a few years now. It smells lovely and has a lovely smooth and not too runny or thick texture. 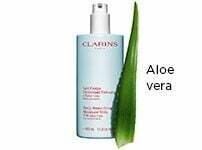 Rated 2 out of 5 by 025817 from Rash and blotchy red skin I've got pretty good skin and I have used clarins before, I bought this over the Christmas period with the toner to try out during the summer when my skin needs a bit more tlc. I used it for a week and on a daily basis I was getting bit zits and a red bumpy texture on my face. I figured out this was the new product in my skincare as I had used the toner previously without any reaction. Now my skin looks burnt and rough as sandpaper.I lI've clarins but shocked at this cleanser as it also leaves a greasy film after washing. 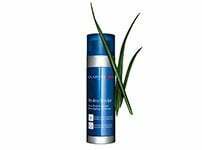 Rated 5 out of 5 by AnnaM from My oldest friend I have used this product since I was about 14, my mum had been using it for many years and introduced me to it. I use it in the morning, in the evenings (even if I have not applied any make up) and after any gym workouts. It's brilliant. 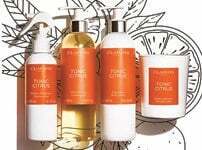 I would definitely recommended you are using the correct cleanser for your skin type, as when I was going into my late teens I began to struggle with my skin however, I went to the clarins counter and they assessed my skin and said I should be using the combination cleanser instead. Honestly, this product has worked wonders for my skin. Rated 5 out of 5 by Danielle from The best cream cleanser I'm a avid user of Elemis but recently felt like a change, I took the opportunity to try some Clarins products at the recent 'try before you buy' event. The lady at the Clarins counter was so helpful and gave me a whole beauty regime of samples to try. Now I have a shopping list to go back and buy, my favourite was this cleanser, it smells and feels so fresh. It is lightweight and doesn't feel like it is clogging your skin, I have never used a cream cleanser like it. I used along with the Combination toner which matched perfectly. If you are looking for a new cleansing regime I would definitely recommend trying this especially with the great value kit! Rated 2 out of 5 by Cherry from Allergy Alert Discovered last week that I have an allergy to methylisothiazolinone (MI), a preservative in the Clarins creams and on doing further research, it seems I am not alone. Having enjoyed the cleanser (and recommended toner/moisturiser to compliment my skin type) for the best part of six months, was very disappointed to find this allergy had developed. Do hope Clains take note and work on their preservative ingredients, as disappointingly have had to cease using all three products that I bought. Rated 5 out of 5 by Kat83 from My favourite cream cleanser I have tried A LOT of cream cleansers - from basic cheaper brands to ones that are even more expensive than Clarins, but none of them live up to Clarins Cleansing Milk. I use it at night before bed with a hot muslin cloth and it is superb, removing ALL of my make-up and the dirt and grime from city living (I don't tend to use in the morning as I like something I can use quicker in the shower). I have combination skin prone to break-outs so I was worried this product would give me blemishes at first, but it has noticeably improved my skin. It also smells lovely which is always a plus! Using it is such a treat - every time! 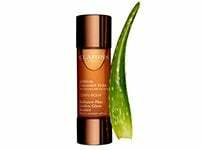 Rated 3 out of 5 by olivwear from Good Cleanser After buying this cleanser in the sale I have found it lovely to use, have not been using the Clarins cleaning method as I find it complicated. But good results over all.